Intelligent adverts ask: "are you looking at me?" Outdoor advertising in towns and cities isn't exactly hard to miss, but a company in Japan has started to monitor just how many people pay attention to its billboards. NTT Communications has rigged up cameras to selected advertisements in Japan to monitor viewer behaviour. While the intelligent adverts won't actually identify individual people, they will feed back info on how many people have stared at the posters. Tetsuya Kinebuchi, a Senior Research Engineer at NTT's Cyber Space Laboratories, and creator of the monitoring system said about the trial: "On many street corners and railway stations there are many digital signs. "To automatically measure the effectiveness of the advertisements we can put a camera and PC nearby, and by using the image from the camera we can estimate how many people are looking at the monitor." The PC in question uses image detection software to recognise the general shape of a face. 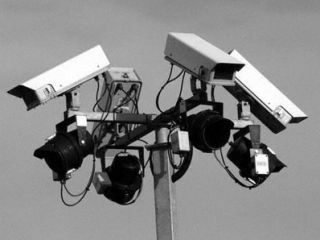 While the trial has so far only featured one camera, a second camera is set to be installed in January when new tests begin.